When couples go through a divorce, there are always concerns about how each will adjust to living on a reduced income. If your spouse was the primary breadwinner or makes considerably more than you, this is likely to be a major concern. Depending on the specific circumstances involved in your marriage, you may be entitled to an award of spousal support (otherwise known as alimony) on either a temporary or permanent basis. Determining whether this might be the right option for you depends on certain factors involved in your situation. Whether one of the spouses sacrificed their own career or education to support the other or to provide for children of the marriage. Spousal support in Florida may be awarded on a temporary or permanent basis. Rehabilitative alimony can help the receiving spouse obtain an education or refresh work skills, while ‘bridge the gap’ alimony can help as they re-enter the workforce. Both of these will be awarded for a specific time limit. When alimony is awarded on a more permanent basis, it is generally in long term marriages and serves to ensure the receiving spouse continues to enjoy the same lifestyle single as they did while married. Obtaining a court order for spousal support may seem like the obvious solution to any financial issues you face in the aftermath of a divorce. However, there are situations in which it can create more problems than it resolves. Under Internal Revenue Service (IRS) guidelines, spousal support is considered income. This means that while the paying spouse may deduct amounts paid for tax purposes, the one receiving alimony is required to report it in their yearly taxes. As a result, you could end up facing a hefty tax bill. The tax ramifications are something the court will consider before making this type of award and is something you need to give thought to as well. In some cases, rather than awarding alimony, the spouse entitled to it may be able to claim a larger portion of property and assets through a marital settlement agreement. 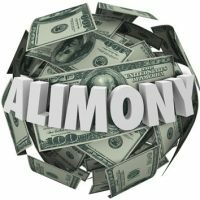 Rather than having your spouse pay alimony on a regular basis, this could provide you with one lump sum settlement at the time your divorce is finalized. Before agreeing to any type of property settlement or financial arrangements with your spouse, it is important to speak with our experienced Fort Lauderdale divorce attorney first. We can guide you in the options available while protecting you against any negative consequences. To request a consultation, call or contact the law firm of attorney Vanessa L. Prieto online today.